- Inspired by this EGS:NP! And, you know, Yu-Gi-Oh! 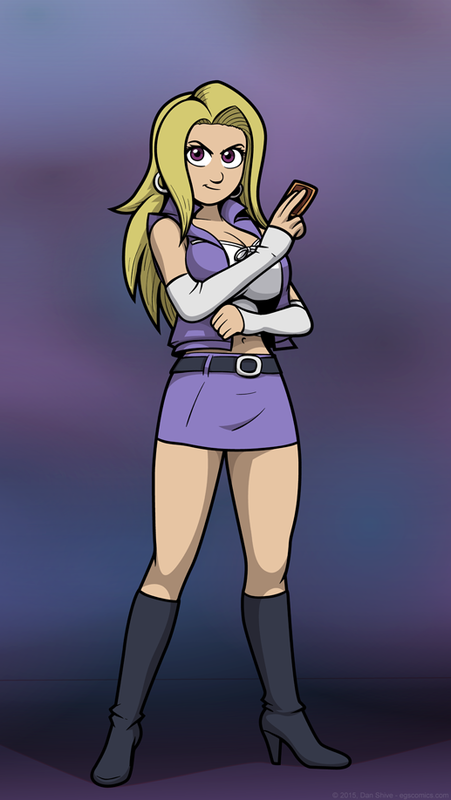 This Tedd in her, um, "distraction" form and dressed similarly to Mai Valentine from Yu-Gi-Oh! It felt appropriate to me, though I don't actually know a lot about the character and have no idea if she employs, um, "distraction" tactics. I mean, this is Yu-Gi-Oh! we're talking about. This is just how people dress. Even if it wasn't, maybe she just likes dressing that way! Why does it have to be about how it makes other people feel? MAYBE IT'S ABOUT HOW IT MAKES *HER* FEEL, DAMMIT! Granted, given what I have read of Yu-Gi-Oh!, um, "distraction" tactics wouldn't be the least bit surprising whatsoever.